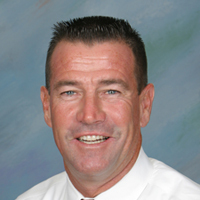 June 20, 2013—(San Juan Capistrano, CA)— JSerra Catholic High School announces today that head football coach, Jim Hartigan has been named as the Athletic Director (AD). A member of the American Football Association, Hartigan brings over 30 years of leadership to his new role as athletic director. Holding a Bachelors degree from Cal State Fullerton and a Masters in Education from Azuza Pacific University, Hartigan looks forward to beginning his time as athletic director. “As we move into our tenth year, we are excited to have Jim take the reigns and continue to develop our record-breaking athletic programs,” said JSerra President, Rich Meyer.